Whether your car interior needs a good cleaning or has been completely trashed, our car interior detailing service is here to help you get the interior of your vehicle back in decent shape. ​Say goodbye to stains and grime with our professional cleaning service. We clean all your windows, dash, door panels, central console, headliners, vents, and all the rest. We take care of every single detail to make sure that your car can pass our final inspection. Our goal is to completely recreate the original “out-of-the-factory” look by using all the modern cleaning methods and products. All your car’s carpets and floor mats will be thoroughly shampooed as well as all the seat upholstery. 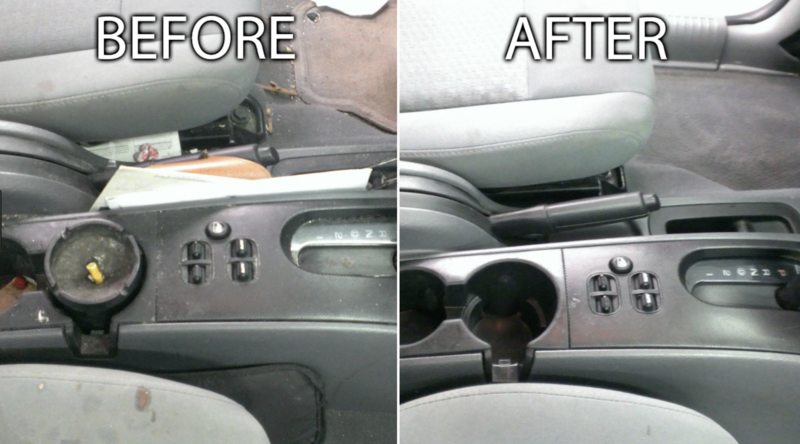 You want a team of experts to clean your car interior and you're right. Doing it yourself is extremely time-consuming and chances are you don’t have the right tools and cleaning products to get the same results as we do. We are here to make your life easier. No more dirty and greasy cup holder and no more foggy windows. Every part on the inside of your vehicle will be taken care of, down to the navigation screen of your GPS! When we talk about the interior of your car, it also means your trunk and the spare tire compartment. 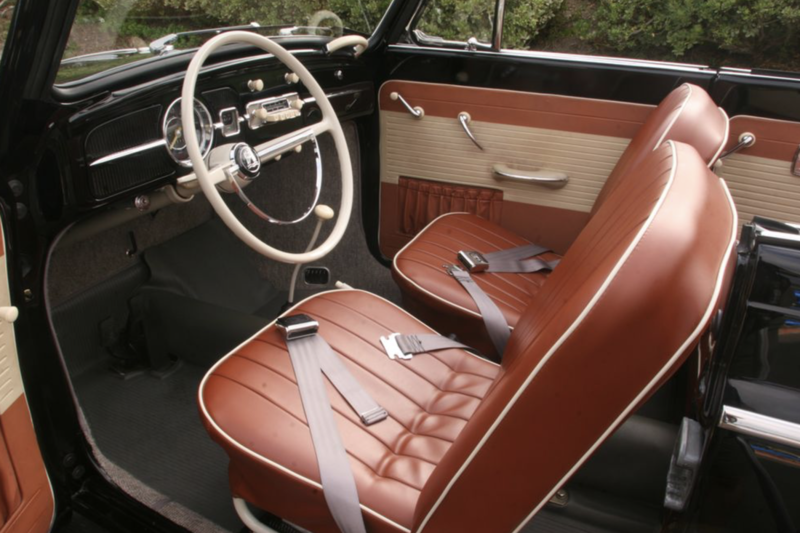 We have thought about everything for you even treating and cleaning your leather seats with a special lotion that will gently nourish and protect them. Let us come to you directly: our mobile auto detailing service is here to assist you wherever you are, at home or at the office. 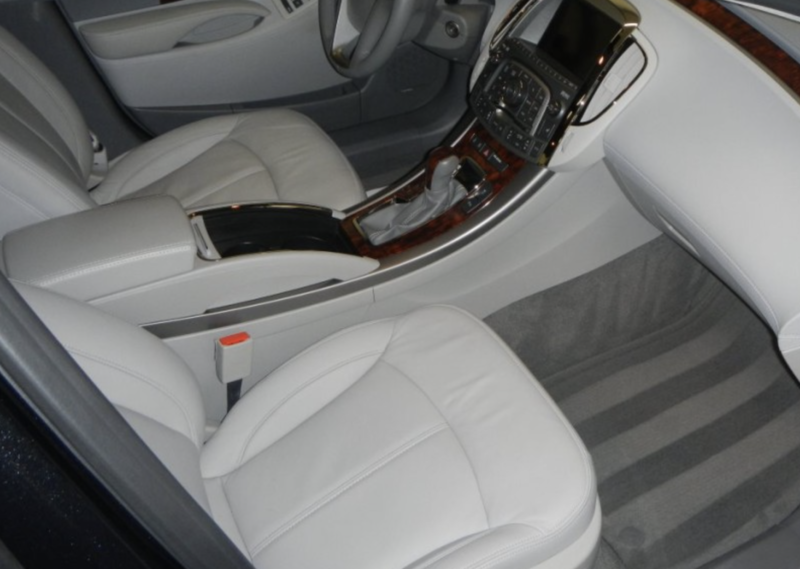 We will clean your vehicle when you are busy working or simply relaxing on your couch. No need for constant supervision: our auto cleaners are professional and they know exactly what your car needs to look like new. If the leather is torn and the plastic is scratched, we will come with solutions to repair them. Your gauges, steering column, glove box, and even your keys and fobs will be cleaned in great detail by our friendly team. You don’t have to worry about a thing, we got your back! Pricing depends on the type of car, size and model you have. From sedans and SUV’s to minivans, large vehicles and everything in between, our specialists can handle any type of vehicle and perform the best interior cleaning possible every single time. You don’t need to ask us what is included in our interior detail package because everything is included. Satisfaction is guaranteed and we will not leave until you have a big smile on your face. Get your free quote by calling us today at 727-222-4511 to book your next interior car cleaning with us. Our experts are ready to make your vehicle cleaner than ever for an increased level of comfort when you drive!